V Findlay Wolfe BLOG: Beauties! 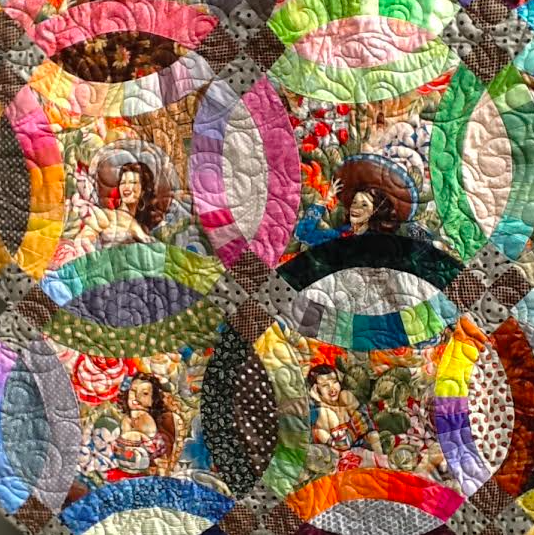 The best part of writing a book, or teaching, is getting the images of how quilters were inspired and found their voice. 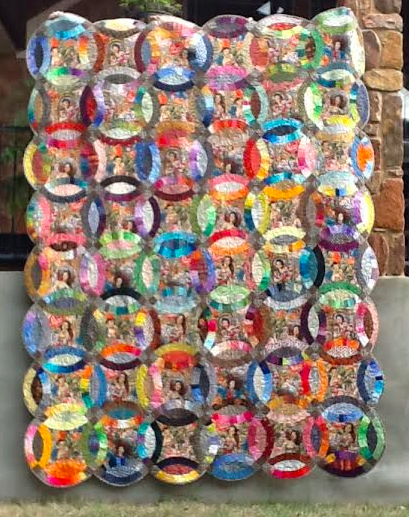 I'm always giddy when I receive pictures of the quilts you make! Please share them with me! I'm inspired by you, as much as visa versa! 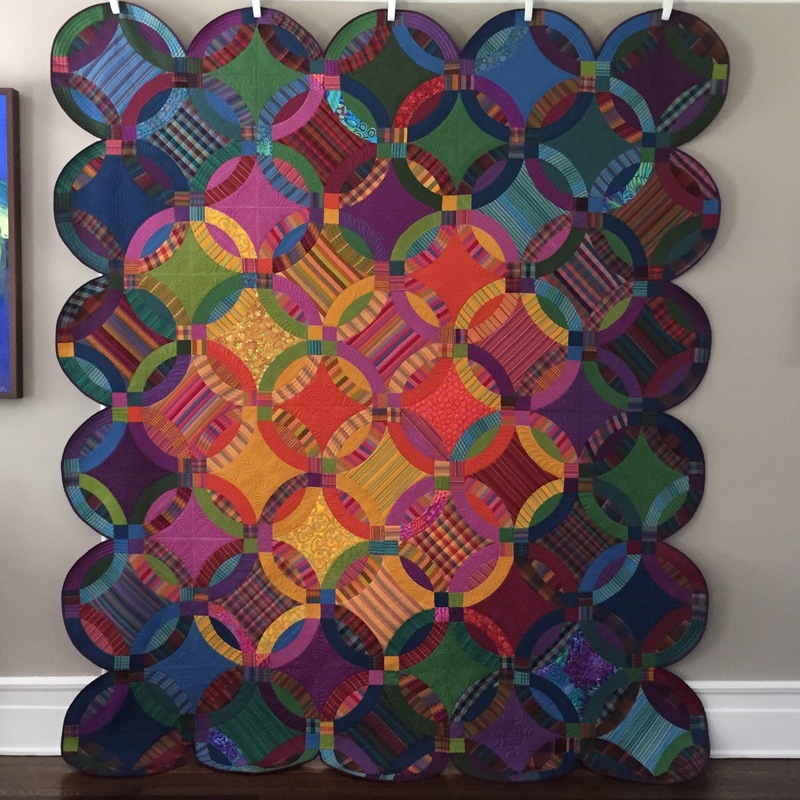 My quilt, "Bright Lights Big City" ( above) has inspired many versions. I love this pattern, the scale, and how large it becomes, quickly. Below see versions and variations on this pattern. 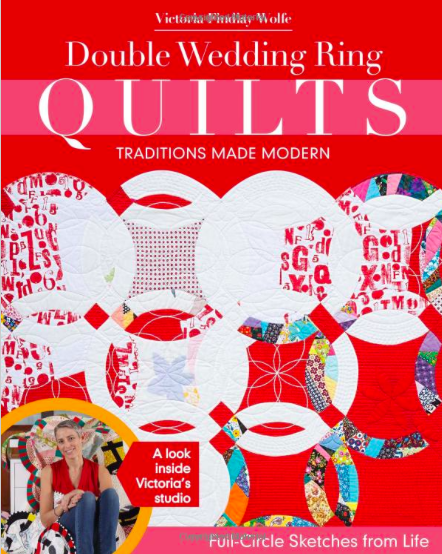 This pattern above is in my book Double Wedding Rings, Traditions Made Modern signed copies are available at my website, as well as 15 Minutes of Play. and my acrylic double wedding ring set is available set, is also available at my website shop. Above, Sue shared her Bright Lights Big City version. I have included a photo of my version Bright Lights Big City. I love it! 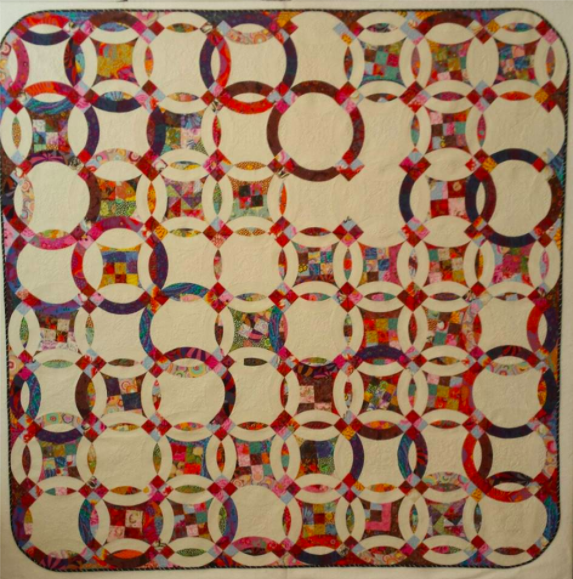 I have quilted forever and done some curved piecing before but this I thought might be beyond me. 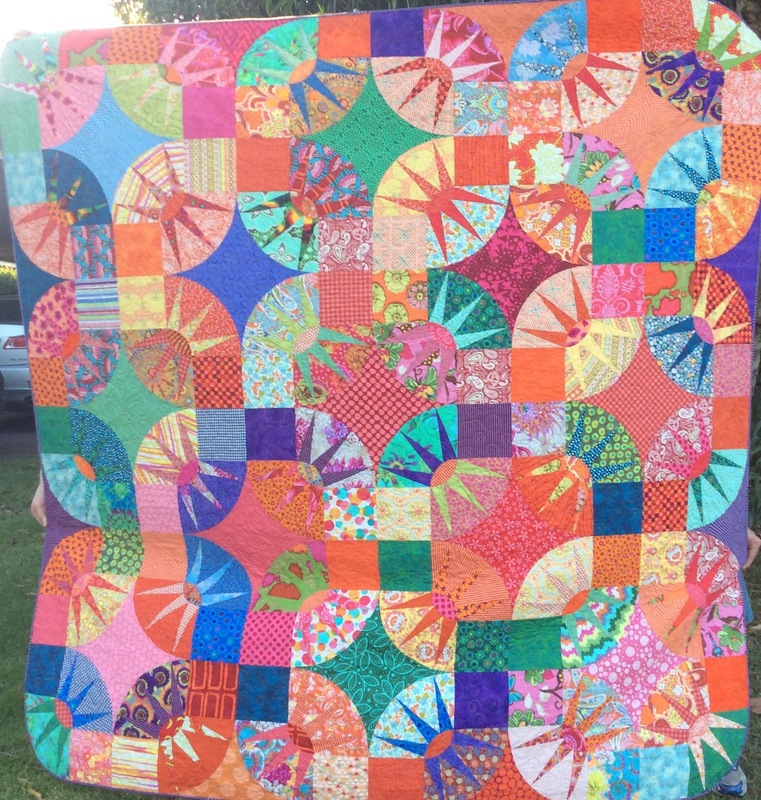 I had a friend with a long arm machine quilt it for me. She said it made her smile with all its "brightness". From instagram I saw Nina's small version. Bright and Happy! 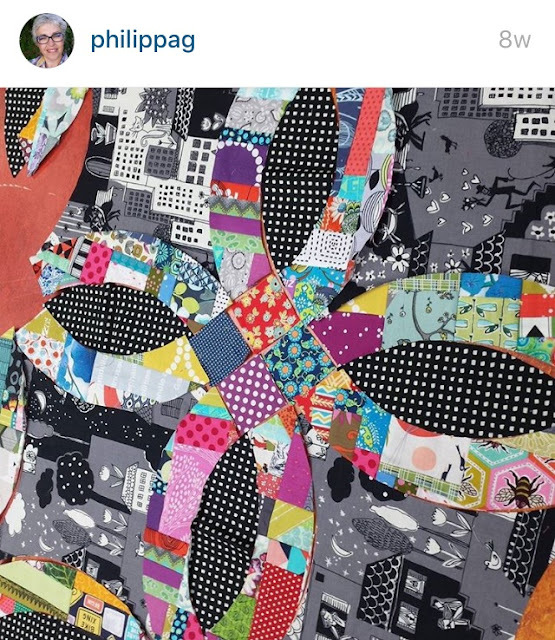 Philippa also from instagram, is working this fun black and white version with made fabric rings! WEEEEE! So fun! My Friend Lisa, aka: The Redheaded Mermaid, has been on a real roll! Above she made this Kaffe shot cotton version.... this is made using my Acrylic double wedding ring template. Made the Red Headed Mermaid! 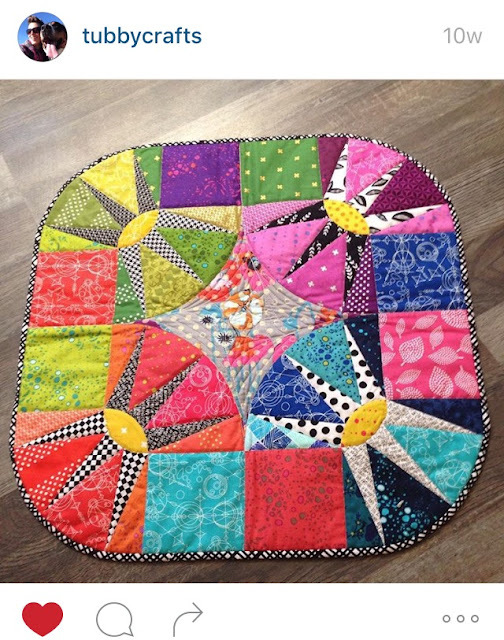 Also including my Sizzix Wave die for this adorable quilt! I think perhaps Lisa has found my obsession... heheheh! Leslie took on her double wedding ring after my visit to Vali & Kim's shop in Dripping Springs, Texas. 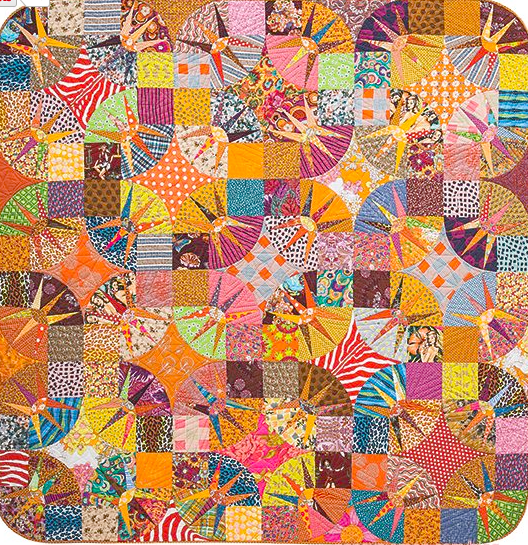 I love how she found color freedom, to just have fun, follow her instinct and build a fun happy quilt. So send me your pictures! It's so fun to see them all! Tell me more about your color selection above. Are you alternating warm and cool? medium or light value colors? What is it about the color selection that makes it such a hit? Wonderful show of quilts - thanks so much for posting these pics. Bright Lights is one I definitely have down to make and hopefully it will be on my list of projects for next year. DWR quilts - love the Kaffe shot cotton version very much indeed. Looking forward receiving your book and templates in Ghana! Will definitely send you a picture when I have the top made out of African fabrics! The interpretations are fabulous, great variations on a theme! What a fun post! So many variations, so much color. I love all this inspiration!! !